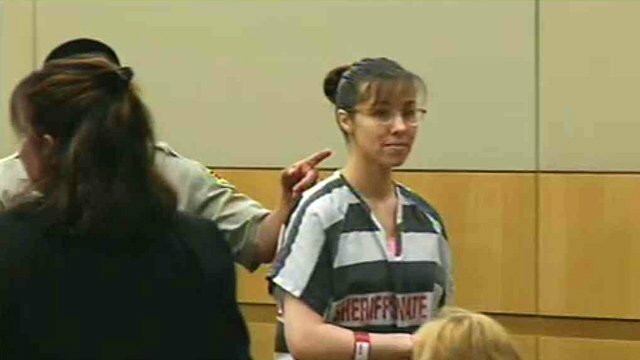 Jodi Arias, who shot and stabbed boyfriend Travis Alexander in his Arizona home in 2008, has been sentenced to life without parole, in a long and highly publicized case. The woman had faced the death penalty but that was removed as an option in March, when a jury failed to reach agreement on prison or execution. Jodi Arias, 34, was convicted of premeditated murder in 2013. She initially blamed the killing of boyfriend Travis Alexander, 30, on intruders, and later said she had killed him in self-defense. Jodi Arias shot Travis Alexander and stabbed him nearly 30 times in his suburban Phoenix home. Four family members of Travis Alexander spoke ahead of the sentence, criticizing Jodi Arias as they broke down in tears. “Stop murdering my brother again and again by smearing his name,” Travis Alexander’s sister Tanisha Sorenson said, referring to Jodi Arias as “this evil that sits behind me”. Jodi Arias also gave a statement in which stood by her testimony of self-defense and accused police and prosecutors of changing their story during the investigation. “The most important thing I want to say is that I’m very sorry for the enormous pain I caused to the people who loved Travis,” Jodi Arias said.